This beautiful Metal Venetian With Jewel Nose-Feathers Mask features a black metal body with intricate cut-out details reminiscent of leaves. On the side of the mask, an accumulation of thin, wispy black feathers and a single faux diamond in the center mimics the appearance of a flower. Finally, three long feathers, which have been cut out in reverse triangle shapes along the extent of each feather, tower over the mask. 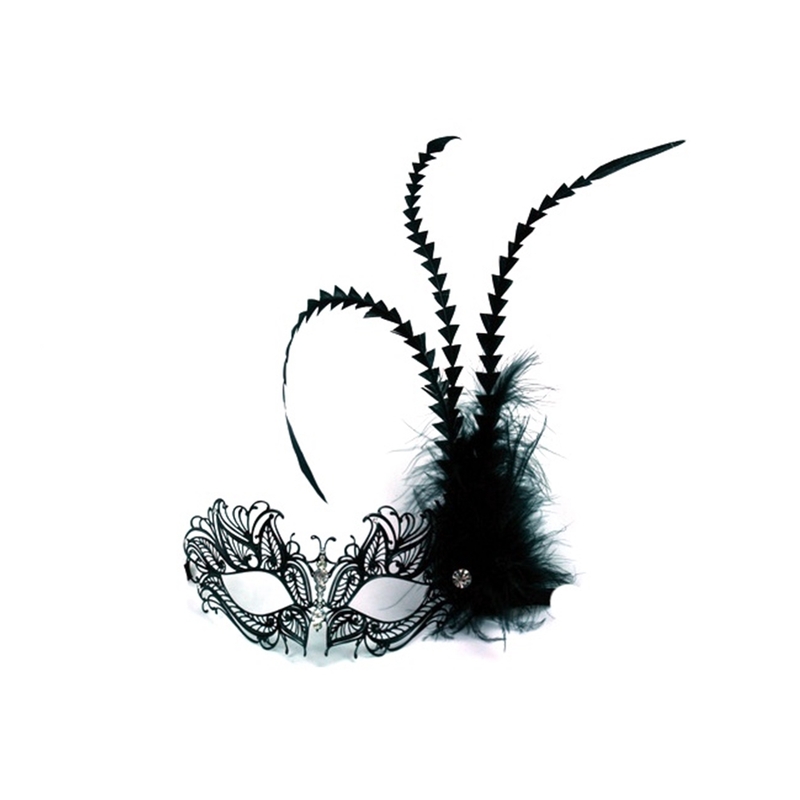 This unique mask is perfect for Masquerade Balls, New Year's Eve parties, and Mardis Gras themed costume parties.